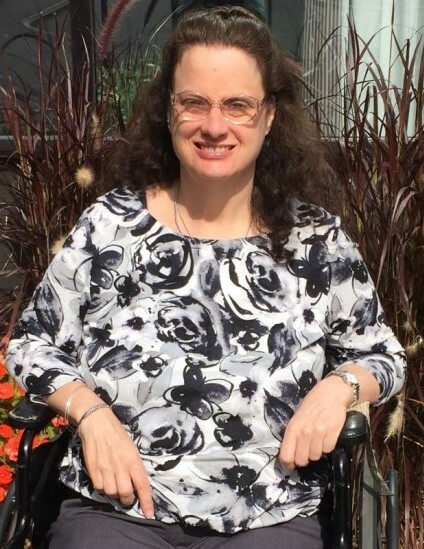 NASHUA—Kimberly J. Pepin, age 52, passed away unexpectedly at her home in Merrimack, after a long battle with Multiple Sclerosis. Born in Nashua, on December 15, 1966, she was a daughter of Ronald Morin and the late June (Polak) Morin. Kim was a travel agent for years before becoming a bus driver, and was lucky enough to be able to drive her nieces and nephews to school. Those who knew her best could always count on her for a smile or joke to uplift their spirits—her quick wit was one of her most valued qualities. Above all else though, Kim was a devoted and loving mother and grandmother, who enjoyed nothing more than being there for her family and watching them grow. Besides her father, Kim is survived by her two sons, Joshua Pepin and his fiancée Jacqueline Bosse of Hudson, and Adam Machado and his girlfriend Michelle Farmer of Milford; her two grandchildren, Ariella Machado and Adam Machado, Jr.; her siblings, Joseph Morin and his wife Lori of Nashua, Kathy Pillsbury and her husband Glenn of Raymond and John Morin and his wife Cheryl of Nashua. Kim was the aunt of the late Kristine Morin. Friends and family are invited to call at the ANCTIL-ROCHETTE and SON FUNERAL HOME, 21 Kinsley St., Nashua on Monday, February 4 from 5 p.m. until 7 p.m. Her Funeral Service will be held on Tuesday, February 5 at 10 a.m. at St. Joseph the Worker Parish, 777 W. Hollis St., Nashua. Burial will take place at a later date. As an expression of sympathy, donations may be made in Kim’s honor to either the National Multiple Sclerosis Society, 101A 1st Ave., Waltham, MA 02451 or to Gateways Community Services, 144 Canal St., Nashua, NH 03060.